My scones are getting a lot of love lately- in fact, it has become the flavor of the month or the favorite of the hour among my GP’s, friends and even my family. They can’t seem to have enough of it so I find myself making them more often. They’re easy to make and there are so many flavors you can play around without being really fancy. Cut through the flour mix using a pastry cutter or knives. When you see your scones rising up and not out then you are getting close to your goal. When you bite into one when they're done and feel that brittle and delicious crust ending with the soft interior- then you did it! I made another batch using a cup of buttermilk with half a teaspoon of almond extract instead of cream cheese with milk and it was delicious too. But I find the texture more to my liking when I stick to cream cheese and milk mixture. 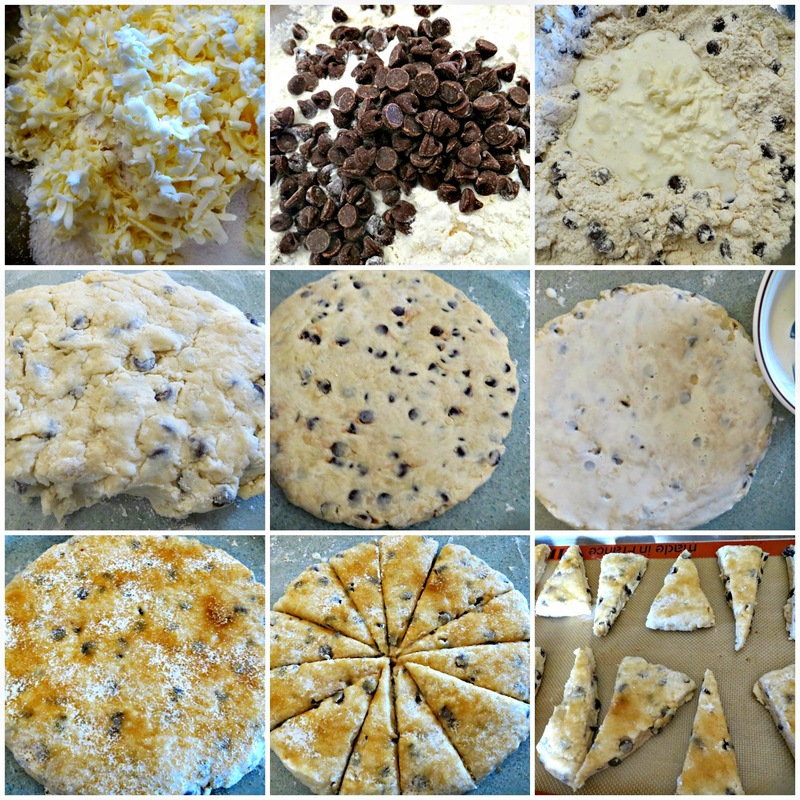 I haven't make scones for a while and your chocolate chips scones look so good!